On Sunday, the people of Catalonia, in Spain’s eastern reaches, were asked a question: Do you want Catalonia to become an independent state in the form of a republic? Over 2.2 million people cast their ballots, and nearly 92 percent of votes were in favor of independence. Spain’s government, which is loath to see its territorial integrity undermined, responded by calling the referendum illegitimate. That came after it closed polling stations, seized ballot boxes, blocked referendum websites, and arrested pro-independence leaders. Catalonia’s future is uncertain, not least for the hundreds of technology startups that have made the affluent and dynamic province their home. I reached out to several of them, and asked about their hopes and fears for the future. While most companies and CEOs contacted returned my email, only a handful agreed to go on the record, citing the fraught political climate in Catalonia at the moment. One individual happy to talk was Dennis Klett, CEO of the Barcelona-based vacation rental service, Lodgify. Like many of the companies I spoke to, he expressed confidence in the fact that the digital-service-based nature of this business would withstand any upheaval. “Lodgify wouldn’t be affected by the independence of Catalonia. I don’t foresee an impact on our business considering our software is an online-based global product and is accessible from anywhere around the world,” Klett said. 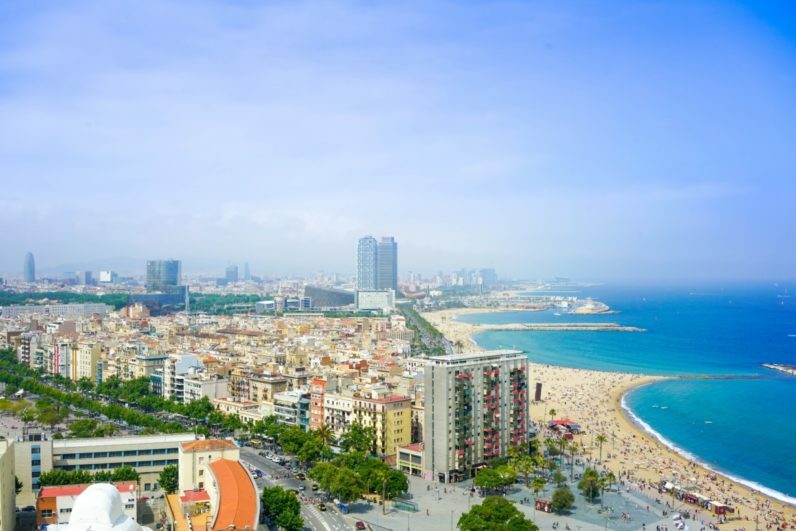 Similarly, Gideon Pridor, VP of Marketing for TravelPerk, a corporate travel booking platform, said an independent Catalonia wouldn’t have an adverse affect on business. Our travel market goes well beyond Spain – from Europe to New Zealand. Local turmoil should have little-to-no effect on the business. A recurring theme in our discussions was that of Catalonia – and Barcelona in particular – as an open, dynamic, entrepreneurial place. In our discussion, Rodés said Barcelona’s startups are characterised by “young, multicultural, peaceful, and clearly global values.” Everyone I spoke to expressed the belief that no matter what happens, those enviable attributes would remain. A lot of things are up in the air at the moment and no one fully understands the regulatory implications the referendum will have, for example, on taxes, legal framework, currency, European Union, immigration, etc. Uncertainty is always bad for business and won’t help the Barcelona tech scene. European Union membership of a future Catalan state is a major issue, and one that shouldn’t be overlooked in the euphoria of the moment. For a state to be admitted into the EU, it must first obtain the unanimous consent of every EU member. Spain would almost certainly veto this. But what about membership of the European Free Trade Area (EFTA), which consists of Norway, Iceland, Switzerland, and Liechtenstein? Here’s where it gets complicated, so pay attention. Ian Dunt, editor of Politics.co.uk and author of Brexit: What The Hell Happens Now, told me that it’s entirely possible for a Catalan state to join the EFTA, provided it obtain the consent of all of the aforementioned countries. However, to join the European Economic Area (EEA), and therefore gain access to the all-important single market, it would need to obtain the consent of all EEA members. This consists of all 28 members of the EU, plus the three members of the EFTA (everyone except Switzerland, essentially, which has its own weird bilateral framework with the EU). Again, Spain would likely veto that. And given that trade deals require the unanimous consent of the EU and its constituent parliaments, it might struggle to create a bespoke deal. This issue has long been known. Judging by the overwhelming result, it clearly hasn’t tempered enthusiasm for independence amongst Catalonia’s residents. For Catalonia’s startups, this means the one thing they’re dreading: uncertainty.